It's true. 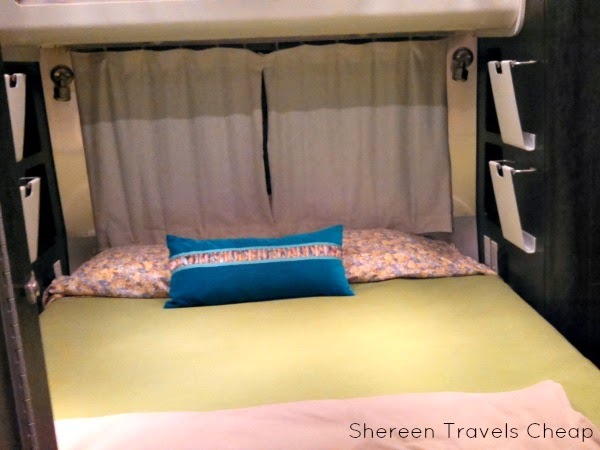 We were on the East Coast a few weeks ago and on our Washington, DC portion of our trip, we scoured Airbnb for affordable places to stay. We found a place that offered everything we were looking for (kitchen, WiFi & TV) in Arlington, it just happened to be an Airstream Trailer in someone's backyard. Now, I have touted my love of Airbnb before, and I recommend it highly. Not only can you save quite a bit of money over traditional hotels and even vacation rentals, but you feel more like a local and you usually have a kitchen to make meals and sometimes laundry facilities. Now, staying in a trailer in someone's backyard may not sound like much fun to you, but I thought it was awesome. 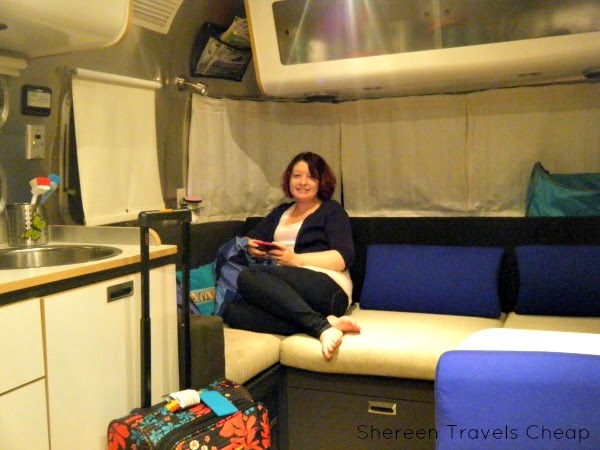 I have always wanted an Airstream of my own and now I definitely do. I found it small enough to feel cozy, but large enough for the two of us to feel comfortable. The bed was surprisingly comfortable and actually better than the one we slept in when we stayed in a timeshare accommodation in Williamsburg. The shower was a bit of a squeeze, but bigger than you would think. 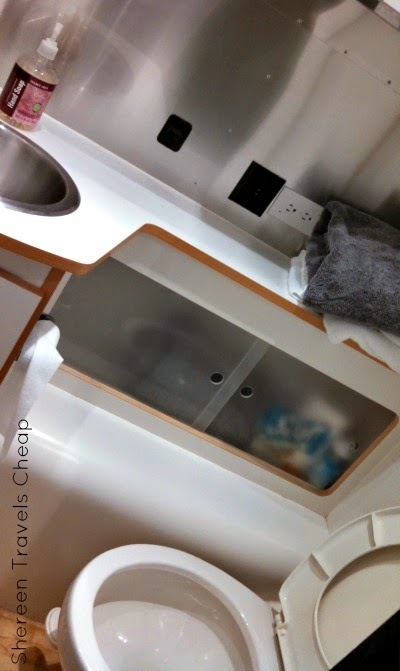 If you ever feel at home in an airplane bathroom and kind of want to build a similar one at home with a bit more functionality, an Airstream has you covered. Every space is usable, with hooks, towel racks or storage everywhere. I felt right at home, and our hosts couldn't be nicer. We were in a fantastic neighborhood that was quiet and close to a ton of ethnic restaurants. 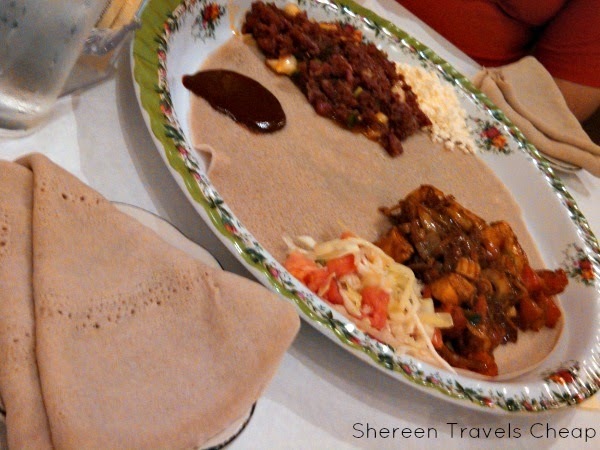 On the advice of our renter, we drove up the street to an Ethiopian restaurant. I had never had Ethiopian food before, except at a food cart festival, but I was quite surprised by how good it was. It was probably a good indication of the cuisine quality that we were two of only four white diners. I feel like if an ethnic restaurant is packed with people of that ethnicity, it probably means it's pretty authentic. 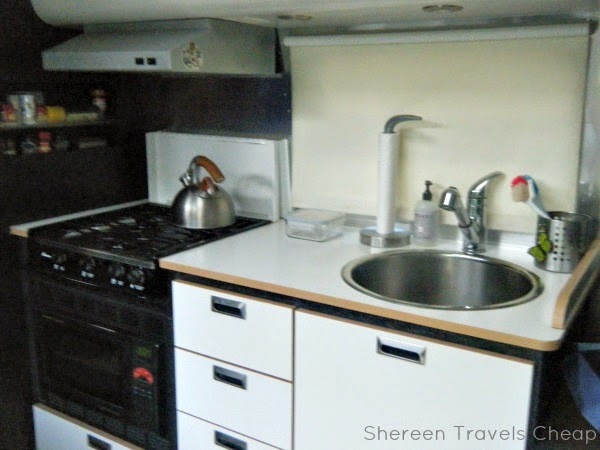 Anyway, back to our trailer and our adventure in glamping: We used the tiny, but efficient kitchen to make breakfasts (including coffee) and to store our groceries. The couch was super comfortable and a great place to use our phones while they were charging. 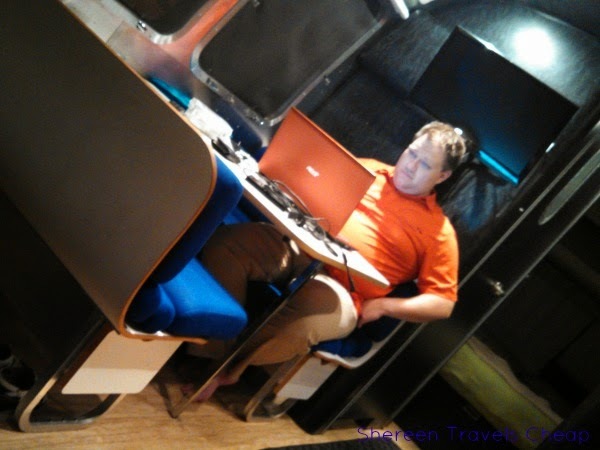 I was amazed that even the Airstream had more outlets than a standard hotel room. There was another convenient outlet under the table, perfect for plugging in our laptop while in use, and ones next to the bed and built-in shelves to place your items while they were plugged in overnight. I was even able to test out the outlet in the bathroom where I used my flat iron to try to make myself look presentable for the day. While it doesn't seem like there was much counter space, it was more than enough for our toothbrushes and other necessary toiletries. Everything else stayed in our toiletry bag, which I hung on a towel bar, so it was out of the way, but also really accessible. So, would I do it again? I certainly would! 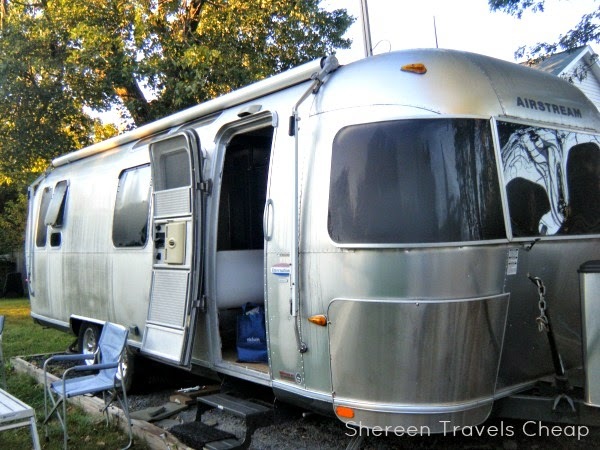 If you would like to stay in an Airstream in Arlington, too, you can request it on our host's Airbnb page. And if you want to try Airbnb and get $25 off your stay, sign up here for free. Have you ever stayed in on offbeat vacation rental or want to give a shout out to a great Airbnb host?